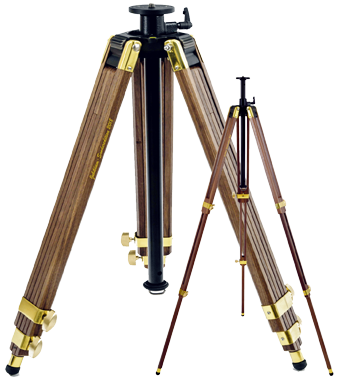 The tripod Report 332 is equipped with the module insert 3, i.e. with a permanently installed levelling ball, a diameter of 55 mm and a spirit level. 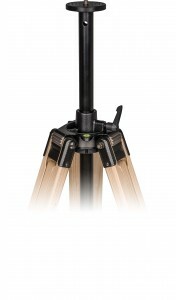 This enables a quick and precise adjustment of the tripod. The pivoting range is 30° in all directions. 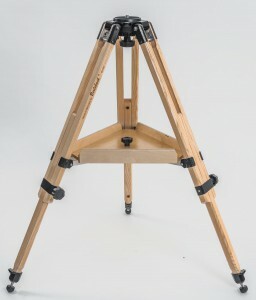 The tripod Report 302 is equipped with the module insert 0 and is thus the simplest and cheapest tripod version. The support area has a diameter of 60 mm and is equipped with a fixed fastening screw (size to be selected). The tripod Report 823 is equipped with the module insert 2, i.e. with a centre column which has a length of 50 cm and a diameter of 25 mm, made of precision-drawn light-metal tubing which ensures an easy height adjustment. 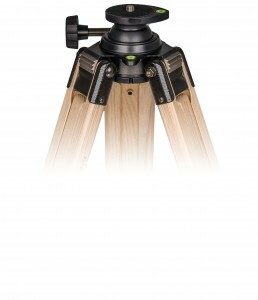 The tripod Report 703 is equipped with the module insert 0 and is thus the simplest and cheapest tripod version. 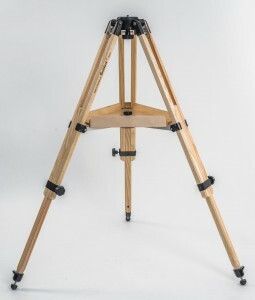 The tripod Report 102 is equipped with the module insert 0 and is thus the simplest and cheapest tripod version. Magnesium mounting head which is suitable for the mountig GP oder Advanced Polaris by Vixen or with adapter for other mountings, such as Porta or as photo tripod with adapter # 11178. The tripod has included a tray 27 cm and a spread stopper # 51008. 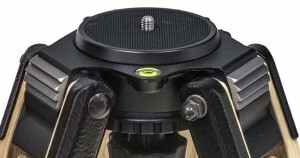 The tripod Report 723 is equipped with the module insert 2, i.e. with a centre column which has a length of 50 cm and a diameter of 25 mm, made of precision-drawn light-metal tubing which ensures an easy height adjustment. 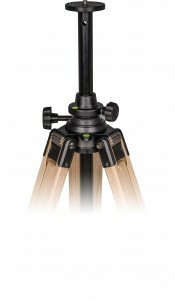 The tripod Report 803 is equipped with the module insert 0 and is thus the simplest and cheapest tripod version. The tripod Report 312 is equipped with the module insert 1. This has a spring supported fastening screw 1/4", 3/8" or 5/8". It is suitable for the simple mounting of heavy heads or devices. the head is put on and is connected to the tripod by turning the screw. The tripod Report 833 is equipped with the module insert 3, i.e. with a permanently installed levelling ball, a diameter of 55 mm and a spirit level.